When that midnight craving for White Castle sliders arrives, some people forget that there are actually a few locations in Manhattan including one at 525 8th Avenue (between 36th Street & 37th Street) and another at 351 East 103rd Street (at 1st Avenue). Other area locations can be found here. 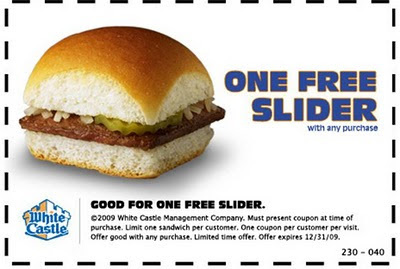 From now until December 31st, White Castle is giving away free sliders. Click the image below to print the coupon. You can also visit their website here. Enjoy!